CRO is the art of testing, tweaking and optimizing your website to improve the number of visitors that convert to leads or sales. We look at your landing pages, and via a process called “split-testing” we work with you to determine the factors that increase your conversions. This can be applied to web pages on their own, or in conjunction with a pay-per-click (PPC) campaign, to improve your return-on-investment (ROI). Conversion Rate Optimization (CRO) is the process of testing, tweaking and optimizing your website to increase your results. The simplest example of this is for an ecommerce website. If you have 100 people come to your website for every sale you make, your conversion rate is 1%. What can you do to your website to improve this rate? 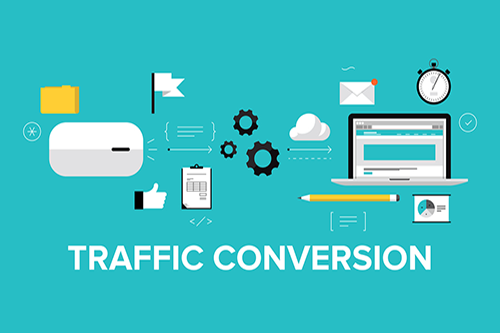 If you could make changes to certain pages of your website and, as a result, get a 2% conversion rate, then you have immediately doubled your sales for the same number of people visiting your website. The way split testing works is that for any page that you want to test and optimize, you actually create two versions of the same page, version A and version B. Since both page variations share the same outcome, you can see which page resulted in more (outcomes). For example, out of 200 visitors to your website, 100 were sent to page “Variation A” – which resulted in 12 email enquiries, and 100 visitors were sent to page “Variation B” which resulted in 35 email enquiries. Clearly in this example, whatever you did on variation B gelled with your visitors because more of them emailed you. You can then take “Variation B” (the winner of this experiment) make a new tweak, and run a new campaign to see which page gets a higher result. You keep repeating this every month, tweaking the page, and going with which ever page design gave you the higher rate, thereby continually optimizing and improving your results.